Elegant, experimental strings sliding into hard electronic beats and bleak, manipulated tones turning into playful pop melodies. And along the way a powerful and fragile female voice pops up and tells us dark secrets and beautiful stories. – “Pseudo Random” is a revolt against our constant focus on image and narrow boxes nowadays and a tribute to the raw musical expression that comes to life in the combination of various music genres, creative methodology and performance art. 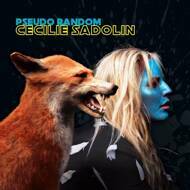 The title of the album refers to an algorithm which is programmed to generate random numbers, says Cecilie Sadolin, who have written, arranged and co-produced the album.